We are proud to offer an ultra premium uncarbonated slush program showcasing a nationally recognized brand known for it’s outstanding flavor – Jolly Rancher! 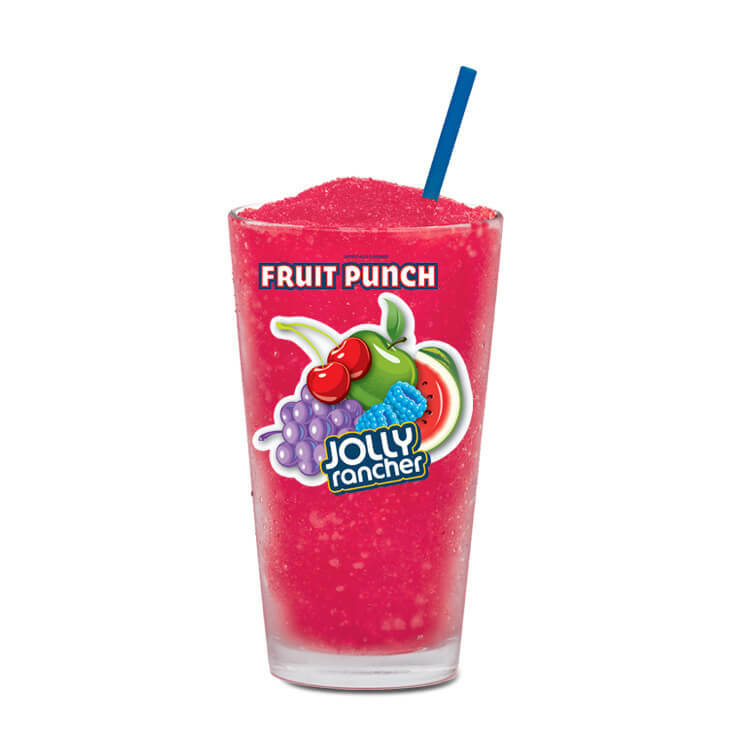 Enjoy all the flavors you love from Jolly Rancher candies available in a slush. 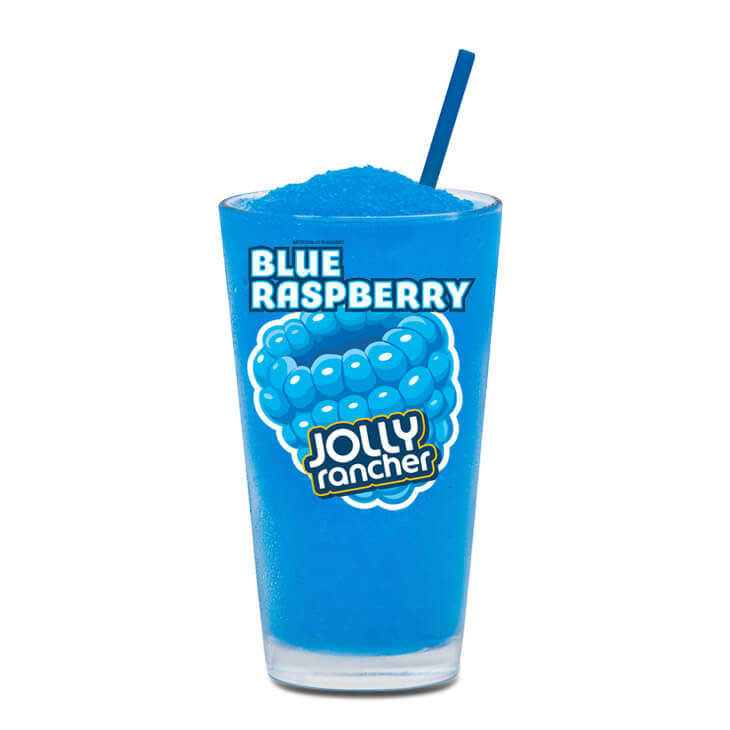 Try the untamed flavor of our Jolly Rancher Blue Raspberry Slush! High Fructose Corn Syrup, Filtered Water, Malic Acid, Natural and Artificial Flavors, Sodium Benzoate, Potassium Sorbate, FD&C Blue #1. Bringing the heat to frozen! Try the sweet and spicy flavor of our Jolly Rancher Hotties Blue Raspberry Sriracha Slush! Enjoy all the flavors you love from Jolly Rancher candies available in a slush. 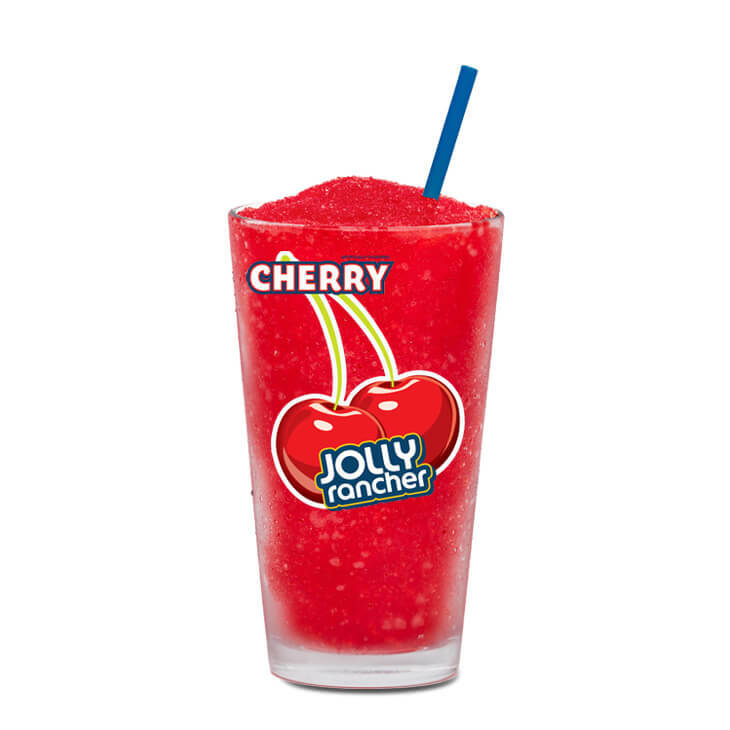 Try the untamed flavor of our Jolly Rancher Cherry Slush! High Fructose Corn Syrup, Filtered Water, Malic Acid, Artificial Flavors, Sodium Benzoate, Potassium Sorbate, FD&C Red #40. Bringing the heat to frozen! 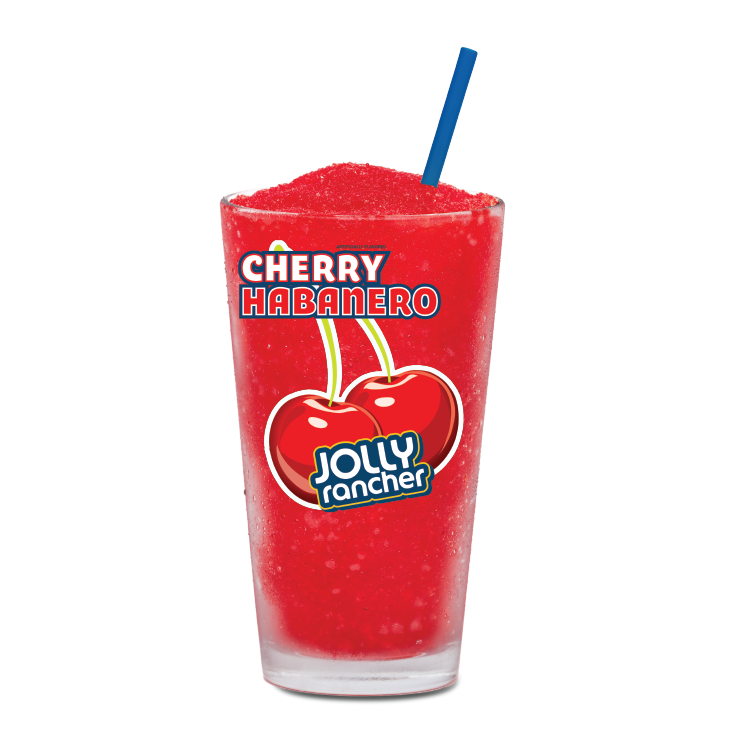 Try the sweet and spicy flavor of our Jolly Rancher Hotties Cherry Habanero Slush! High Fructose Corn Syrup, Filtered Water, Malic Acid, Natural and Artificial Flavors, Sodium Benzoate, Potassium Sorbate, FD&C Red #40. Enjoy all the flavors you love from Jolly Rancher candies available in a slush. 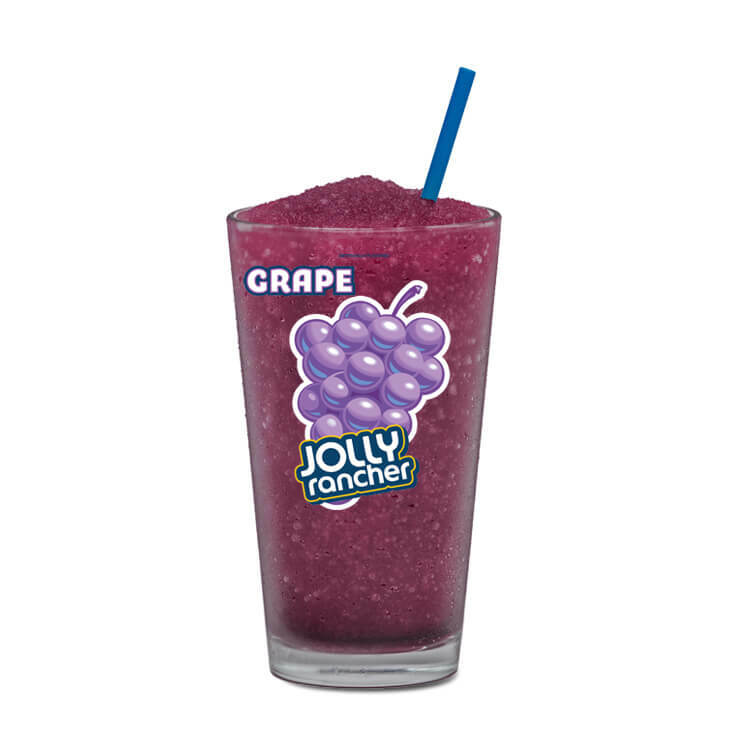 Try the untamed flavor of our Jolly Rancher Grape Slush! High Fructose Corn Syrup, Filtered Water, Malic Acid, Artificial Flavors, FD&C Red #40, Sodium Benzoate, Potassium Sorbate, FD&C Blue #1. Enjoy all the flavors you love from Jolly Rancher candies available in a slush. 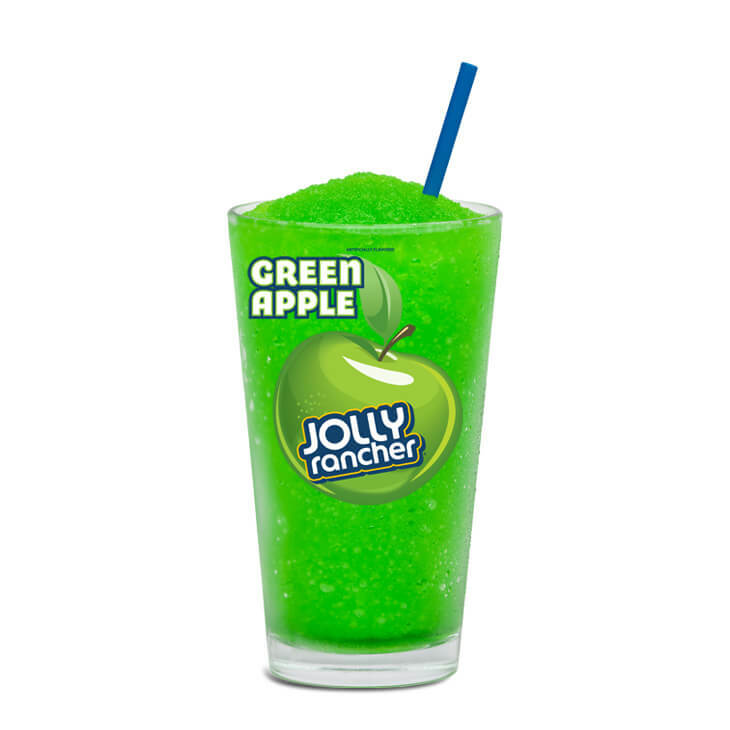 Try the untamed flavor of our Jolly Rancher Green Apple Slush! High Fructose Corn Syrup, Filtered Water, Malic Acid, Artificial Flavors, Sodium Benzoate, Potassium Sorbate, FD&C Yellow #5, FD&C Blue #1. Bringing the heat to frozen! 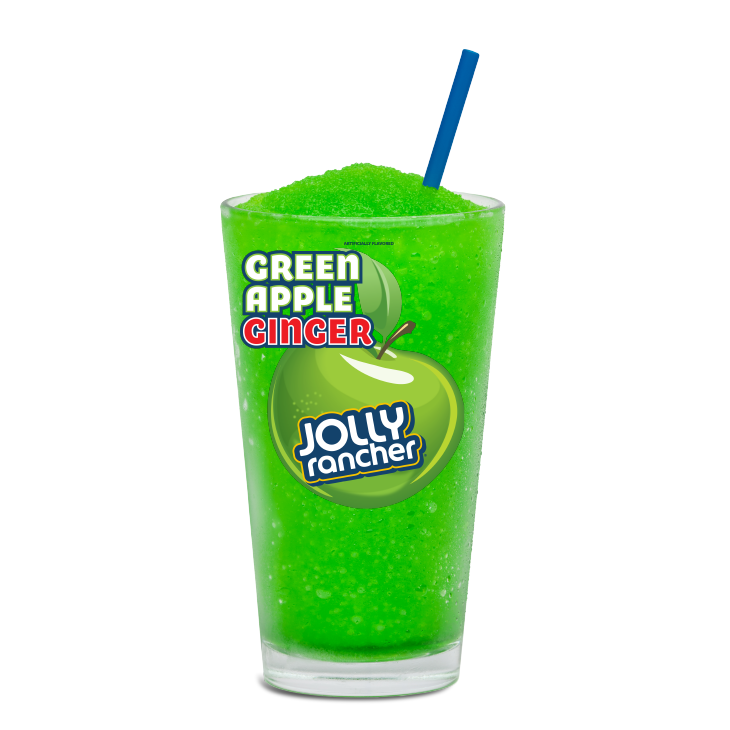 Try the sweet and spicy flavor of our Jolly Rancher Hotties Green Apple Ginger Slush! High Fructose Corn Syrup, Filtered Water, Malic Acid, Natural and Artificial Flavors, Sodium Benzoate, Potassium Sorbate, FD&C Yellow #5, FD&C Blue #1. Cutting back on sugar doesn't mean cutting back on flavor! 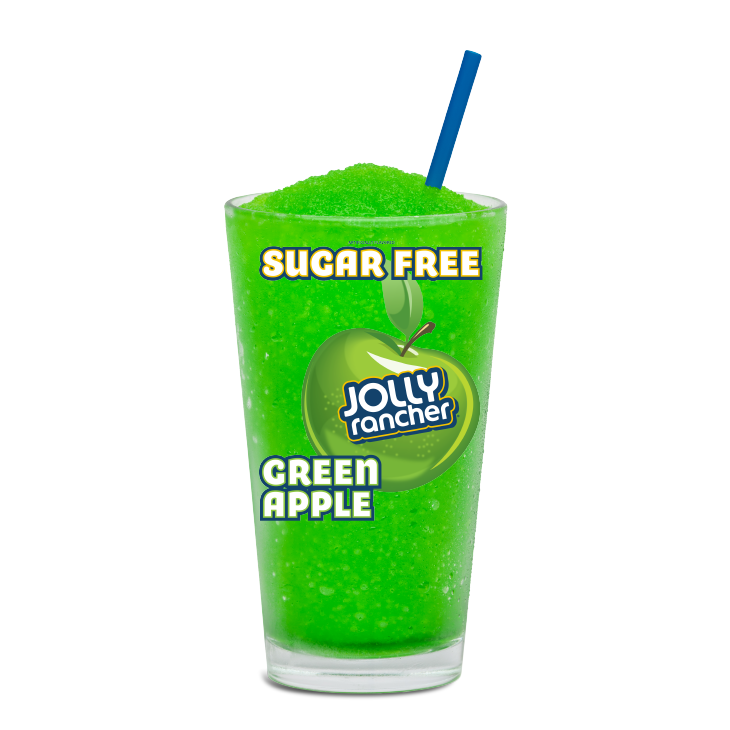 Try our Sugar Free Jolly Rancher Slush without the sugar guilt! Glycerine, Filtered Water, Sorbitol, Malic Acid, Natural and Artificial Flavors, Rebiana, Sodium Benzoate, Potassium Sorbate, Sucralose, Erythritol, FD&C Yellow #5, FD&C Blue #1. 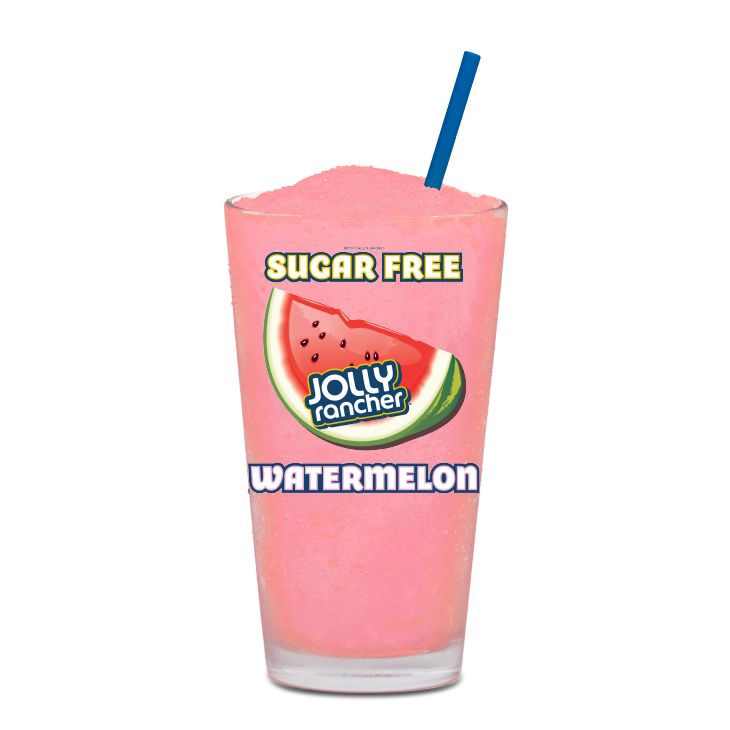 Enjoy all the flavors you love from Jolly Rancher candies available in a slush. 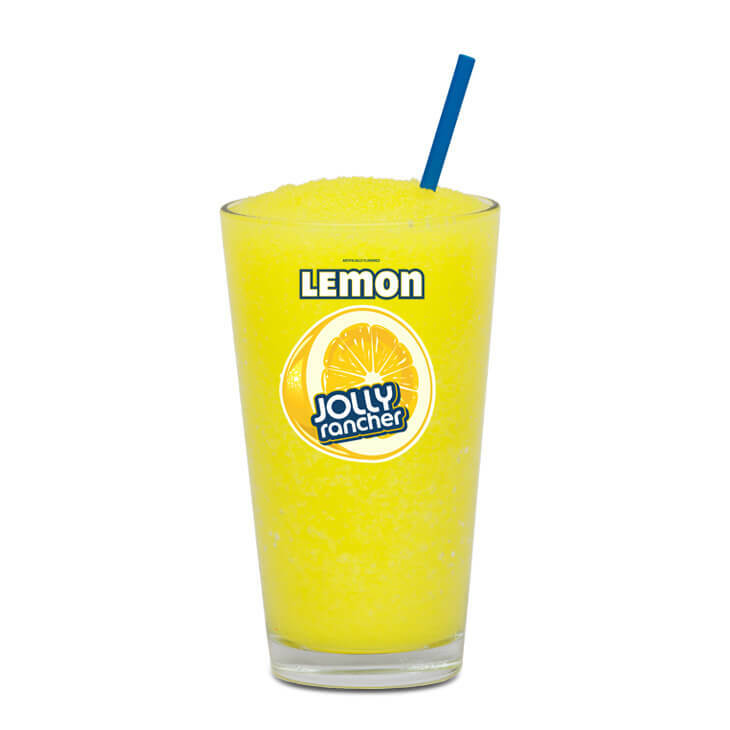 Try the untamed flavor of our Jolly Rancher Lemon Slush! High Fructose Corn Syrup, Filtered Water, Natural and Artificial Flavors, Malic Acid, Citric Acid, Sodium Benzoate, Potassium Sorbate, FD&C Yellow #5. 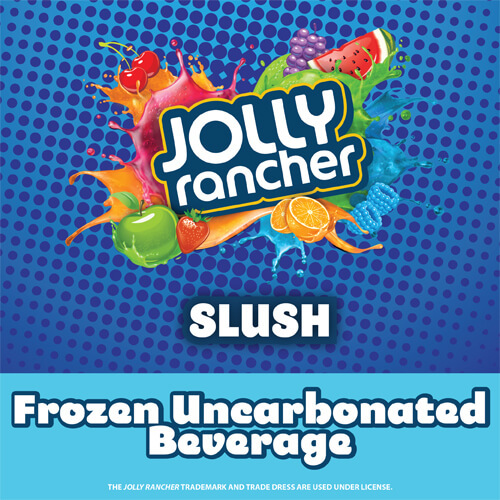 Enjoy all the flavors you love from Jolly Rancher candies available in a slush. 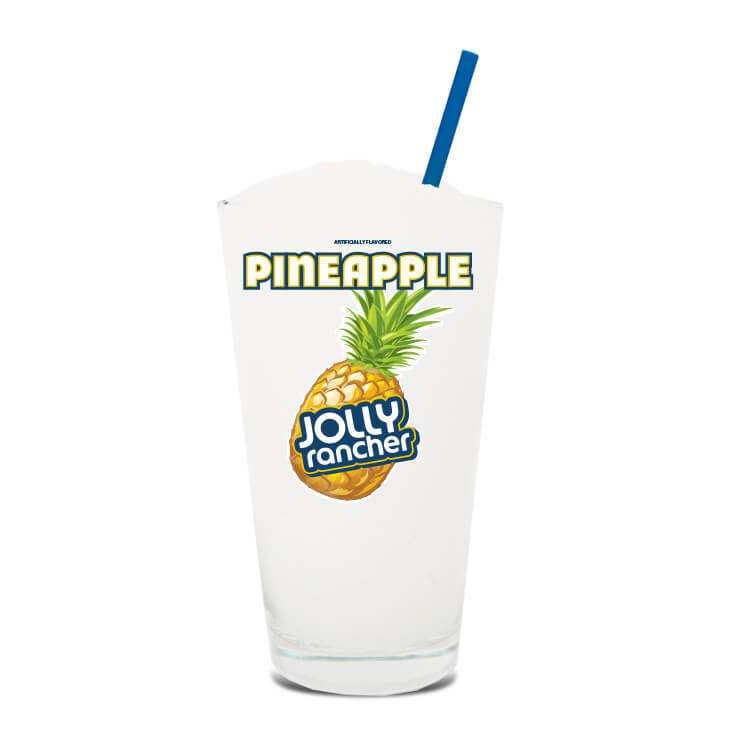 Try the untamed flavor of our Jolly Rancher Pineapple Slush! 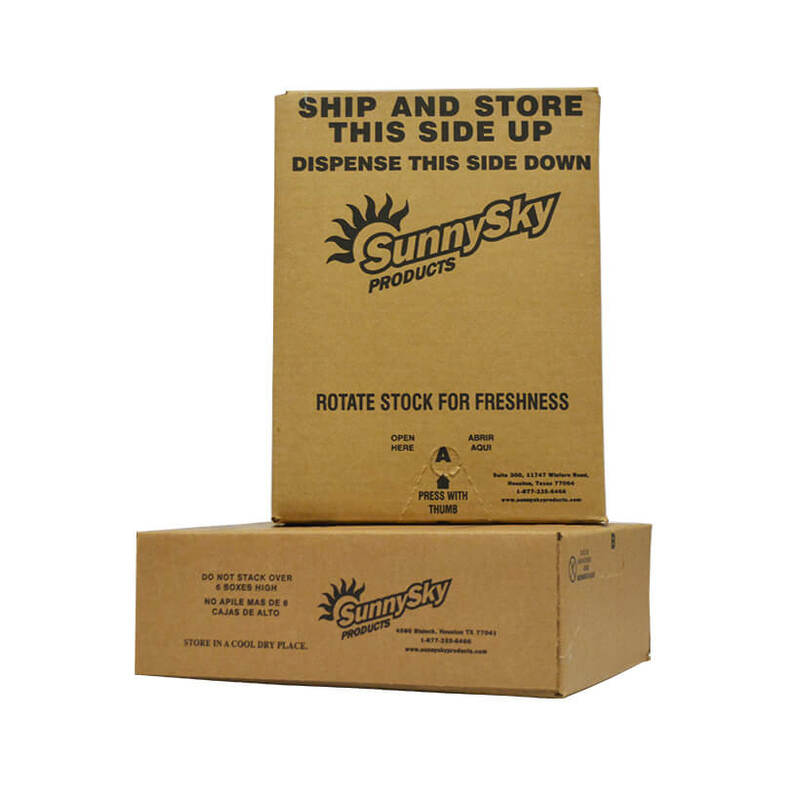 High Fructose Corn Syrup, Filtered Water, Malic Acid, Artificial Flavors, Citric Acid, Sodium Benzoate, Potassium Sorbate. Enjoy all the flavors you love from Jolly Rancher candies available in a slush. 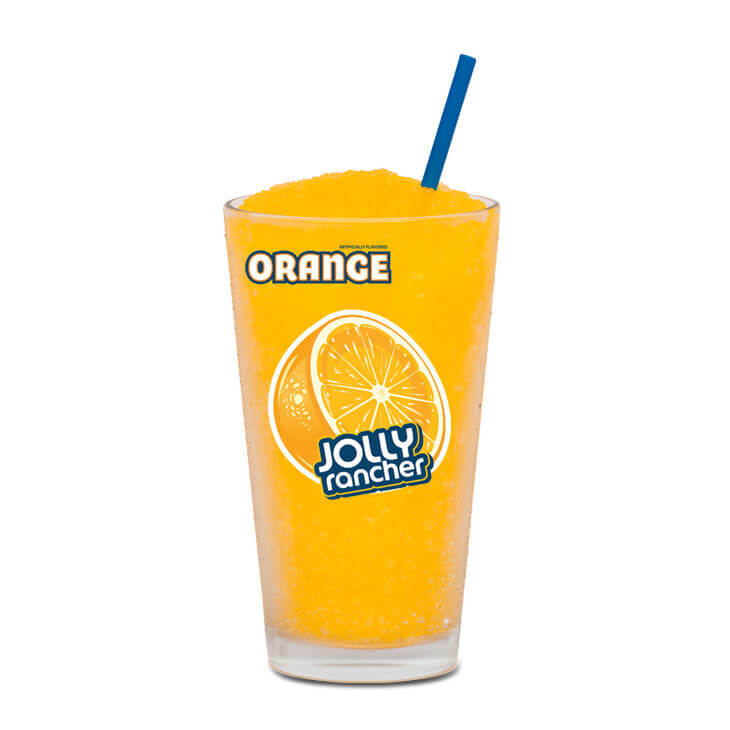 Try the untamed flavor of our Jolly Rancher Orange Slush! High Fructose Corn Syrup, Filtered Water, Malic Acid, Natural and Artificial Flavors, Citric Acid, Sodium Benzoate, Potassium Sorbate, FD&C Yellow #6. Enjoy all the flavors you love from Jolly Rancher candies available in a slush. 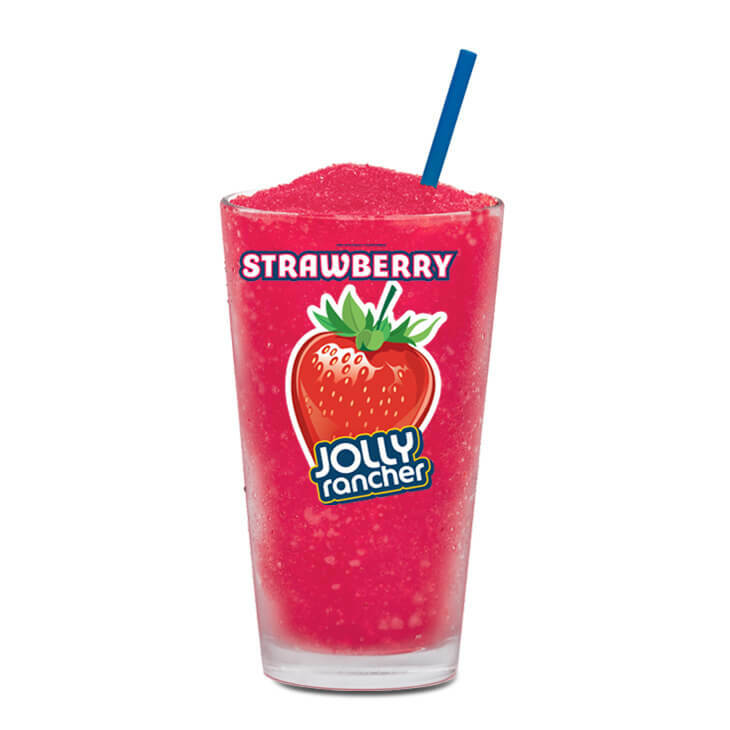 Try the untamed flavor of our Jolly Rancher Strawberry Slush! High Fructose Corn Syrup, Filtered Water, Malic Acid, Artificial Flavors, Sodium Benzoate, Potassium Sorbate, FD&C Red #40, FD&C Blue #1. Enjoy all the flavors you love from Jolly Rancher candies available in a slush. 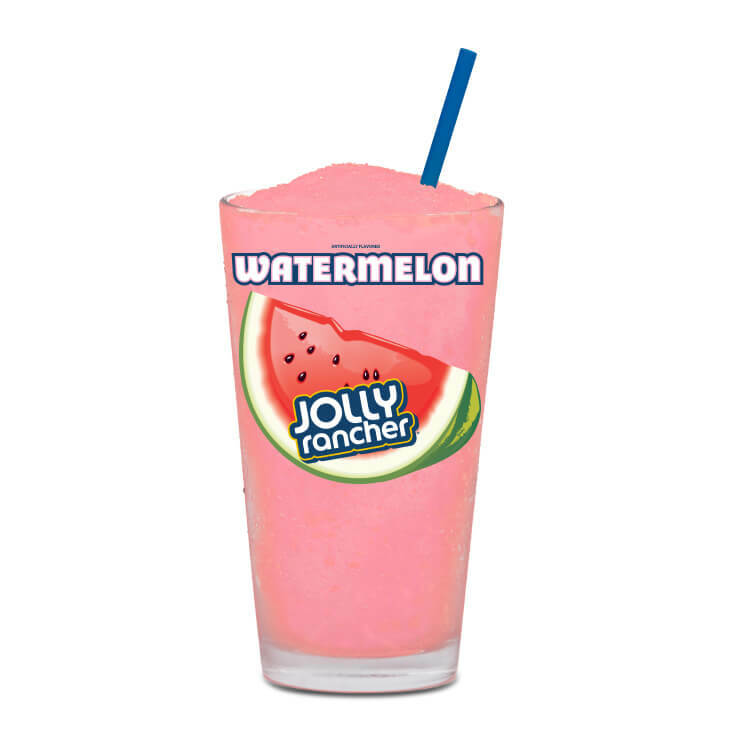 Try the untamed flavor of our Jolly Rancher Watermelon Slush! Bringing the heat to frozen! 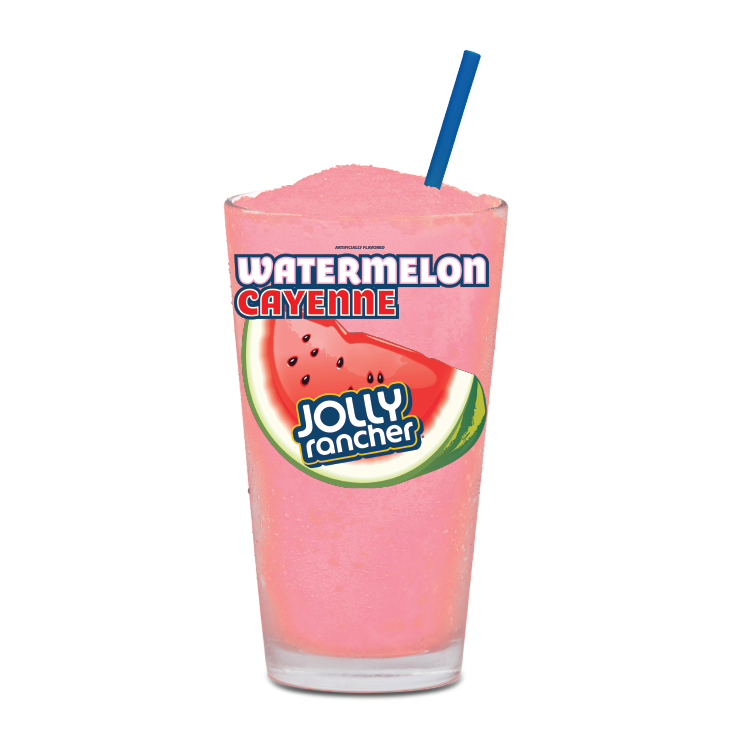 Try the sweet and spicy flavor of our Jolly Rancher Hotties Watermelon Cayenne Slush! Glycerine, Filtered Water, Sorbitol, Malic Acid, Natural and Artificial Flavors, Rebiana, Sodium Benzoate, Potassium Sorbate, Sucralose, Erythritol, FD&C Red #40.